Why Should You Choose Home Evolutions? Well, if you’re like most of our clients, you know exactly what you want. But, you’re busy with work, family, and other commitments. You simply can’t stop everything to make sure your construction project is going well. From years of experience working with busy professionals in New York City, Manhattan, and Brooklyn, we’ve developed a brilliant solution our clients love. 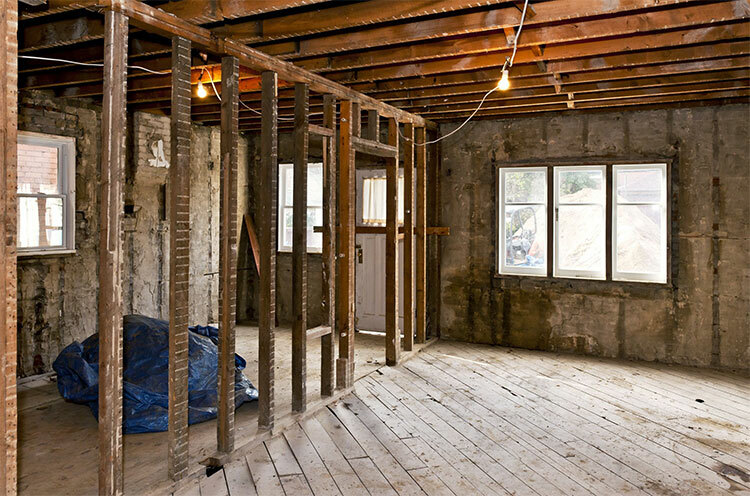 From 100% transparent bids to live home remodel project updates on your phone, you will receive the highest-quality general contractor NYC services without the stress and hassle normally associated with construction projects. ✔ Communication – we begin with consistent and high-level communication to keep you informed and confident you chose the right contractor. ✔ Work-Ethic – next we add enthusiasm, hard work and the willingness to provide you with the stunning home improvement job you were hoping for. ✔ Experience – building in NYC and the suburbs can be complicated and have issues, our local experience and skillset ensure that your project is done right the first time. ✔ Teamwork – we’ve built a bright team of experts including your own project manager who specializes in NYC and suburbs new construction and remodels. With our online client portal, you will receive your login where you can view all plans, pricing, specific materials, along with schedules and timelines from the comfort of your home or office. Plus, your entire team (designer, engineer, architect, high-end contractors) will have access where they can update you on the home renovation project. Along with uploaded daily progress images of your job, there will be targeted reminders, and the ability to communicate and follow up with your team. No more back and forth, missed deadlines, or forgotten tasks. You will know exactly how your project is progressing. This one feature alone keeps you in control and will make your entire construction experience stress-free and enjoyable. ✔ You’ll control all project costs with our 100% transparent & detailed pricing. ✔ Since you’ll have the exact labor and materials prices, decisions and changes are much easier for you. ✔ You’ll know your job is progressing as planned since you can see the schedule online weeks in advance. ✔ When you’re busy at work, or out-of-town, you can keep track of the construction from your smartphone. ✔ Streamlined online communication makes working with contractors, designers, and engineers efficient. ✔ And, you can easily share your project photos with friends and family on social media. With years of successful building experience in NYC, Brooklyn, and Manhattan, we know how to create beautiful custom construction and give homeowners exactly what they want. Our gut renovations provide homeowners value and a beautiful home exactly to their specifications. From single family homes to coops we can transform any residence. We will handle every part of your kitchen remodeling NYC project from 3D design to completion in a few weeks. We build dream kitchens from modern and contemporary to historic. 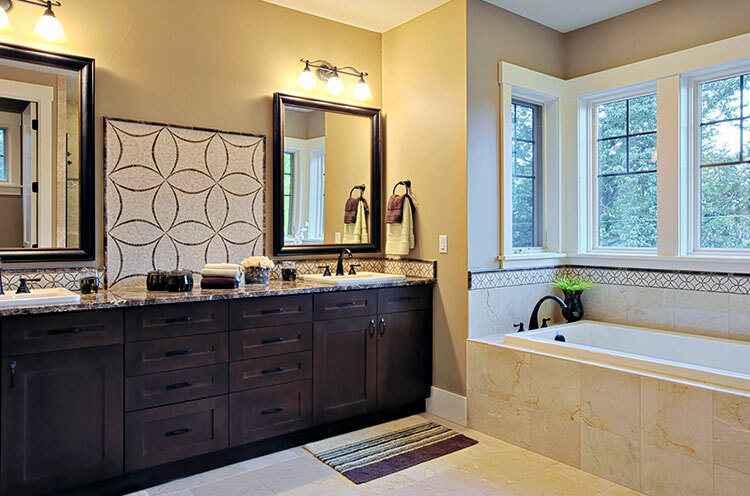 The bathroom remodeling process can be extensive, often involving electrical and plumbing work, as well as cosmetic changes. We have the experience and skill you need. What would you like to share about your experience working with Home Evolutions Corp? We did a gut renovation, new walls, windows, everything, moved the bathroom, reconfigured the whole apartment. Everything, was brand new. Tribeca, apt. It was a really, really pleasant experience. We couldn’t live here, but we stopped by almost every day. I could call or send a text and Aaron would explain everything to us. It was really helpful for us navigating this process. They take such great pride in their work and it really really shows. What would be an area that they could improve on? The tricky thing is that this was our first renovation and our experience was very positive compared to what we’ve heard from other friends. I think because Aaron staffed the project so well and he’s done it enough that he mitigates risks very early on in the project. I can’t think of anything that could have gone better. What did Home Evolutions Corp do especially well? There’s a lot. One of the things I appreciated the most was that Rob, the PM on site, had intense focus on details, making sure even choices we made aligned with the aesthetic we were looking for. That played all the way through their work. They kept a clean worksite and they were committed to the whole process throughout. All of the folks Aaron brought to the project were super professional and took great care in the project. How did Home Evolutions Corp handle any unexpected challenges or surprises during the renovation? They treated us fairly when it came to changes. I think whenever you’re working with a homeowner with their own ideas, there will always be unexpected requests. When they took all the old drywall down, we ended up with more space, but we were keeping the hardwood floors and a gap existed where the wall was. Rob and Aaron helped us come up with a solution to add a designed flooring that looks intentional and is really nice. But that wasn’t part of the original design. Aaron and his team were outstanding. This was our first real estate purchase, and our first renovation. The team were accessible, transparent and reassuring during the whole process. We had issues with the DOB, and Aaron was so knowledgable about building code that we slept easy knowing we were in good hands. The quality of work, attention to detail, and overall enthusiasm of working on this project. HEC was professional with every aspect of the build. The Department of Buildings was particularly challenging to deal with, and Aaron and team were there to get the job done. They worked with the architect and other tradesman to achieve the best outcome, given the changing requirements from the plan reviewer. Finished project with him about a year ago. It was a 6 month project full gut reno of two bedroom and adjacent 1 bedroom in NYC. I’d recommend Aaron without hesitation. He has a stamp of approval from us. If something wasn’t to our liking he was always willing to work through and gave us a complete ease through the whole process. I still feel like I could call him. He seemed to really care about us and our project. Coop was super hard to work with and they did a good job dealing with all of that. Aaron handled everything and then let us know about it which I think says a lot about his approach. All of our expectations were exceeded and Aaron is absolutely fantastic from his communications with the architect, building, and check ins with us- it was always great. His work style and ethic is fantastic and his pride in his work. I have had the pleasure of working with Home Evolutions for a project on my home beginning in the Fall of 2015 and commencing in the Spring of 2016. The project consisted of taking an existing outdoor deck and transforming it into a chef’s desirable outdoor kitchen and luxurious outdoor living area. The crew of Home Evolutions and subcontractors was very professional and courteous in their overall and day to day operations. I worked cohesively with every tradesman who worked on my project because I wanted to be a hands-on client who expected top quality and I was never disappointed. The craftsmanship and detail were superb from start to finish, and I am beyond satisfied with the finished product that was delivered. I would be happy to speak with new & prospective clients as well as showcase the amazing work Home Evolutions has to offer. I want you to know that Anne and I are very happy with the home improvement project Home Evolutions did for us. From the planning stage through completion, you performed in a caring, professional manner. The finished project speaks for the quality of the job, as we have had so many compliments. We could have gone with a “cheaper” contractor but believe “you get what you pay for”, or more likely, “you don’t get what you don’t pay for”. Both you and your subs were on your A-game. We truly got what we paid for, a top notch job that adhered to the agreed upon contract. I know we could be sticklers at times, but we have high standards and you met them and accommodated us with no resistance. Problems always arise unexpectedly, and when they did, you rectified them appropriately. I want to thank you for a job well done and would be happy to be a reference for future potential customers. Thanks again.